Today, we live in an age of information. It’s easier than ever to find advice and tips online concerning just about anything. But, is all that information reliable? Can you believe everything you read online? 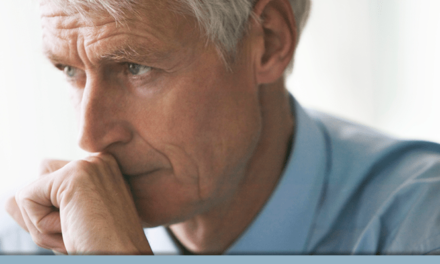 Especially when it comes to health concerns, it’s important to make sure any information we use to make decisions about our care is actually true. 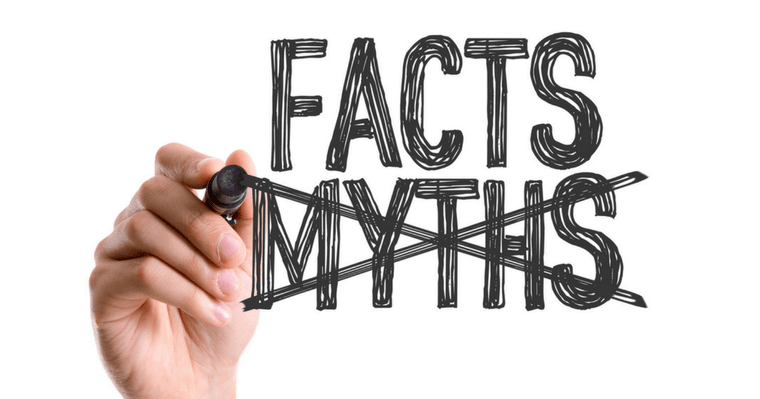 So, let’s look at some common dental myths and find out if they are based on fact or not. Myth #1: You should brush immediately after every meal. While it is important to remove the food particles left on your teeth after your meal, the timing of your tooth scrubbing is crucial. Your own natural saliva is your mouth’s way of neutralizing caustic acids and protecting your teeth’s enamel. So, give it time to do its work. Also, acidic foods can soften your enamel, and if you brush too soon, you can be brushing away vital tooth particles. Wait at least 30 minutes before you brush your teeth after a meal. 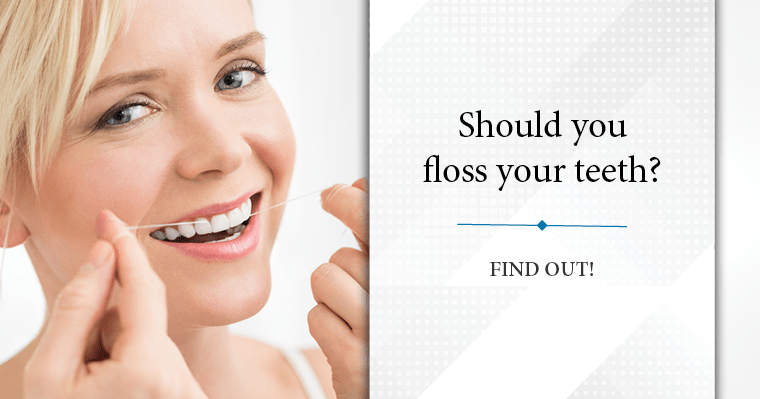 Myth #2: You don’t need to floss. One of the newsworthy items of 2016 was a report that said flossing wasn’t essential for healthy teeth. But really, common sense should tell you that letting food and bacteria build up between your teeth and under the gum line is doing your oral health no good. 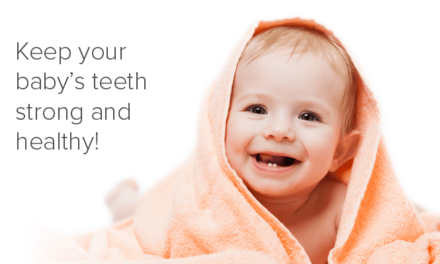 Tooth brushing cleans the surfaces of your teeth, but only flossing can reach those other hard-to-reach places. Here are some easy-to-follow tips to help you make sure that when you floss, you are doing it effectively. 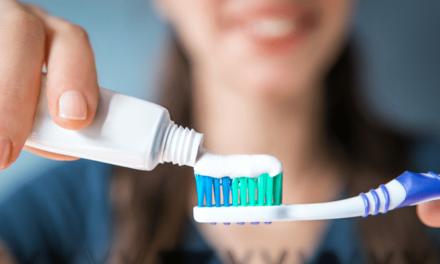 So until you hear differently from your dentist or the Amercian Dental Association, continue to brush and floss regularly, and you’ll be rewarded with healthy teeth and gums. Myth #3: Bleaching your teeth can cause permanent sensitivity. It’s true that bleaching can cause your teeth to become more sensitive to hot and cold – temporarily. 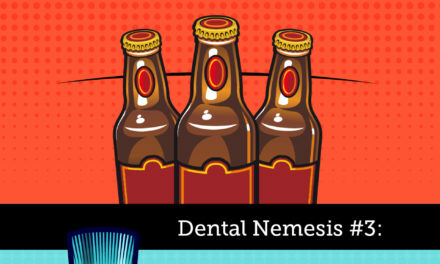 That’s because bleaching solution opens the “pores” of your tooth enamel, allowing the solution to penetrate the enamel and remove even deep stains. But once the treatment is over, the “pores” close up again and the sensitivity diminishes. If your teeth are experiencing sensitivity to hot or cold, it may be a sign of underlying dental problems not visible to your eyes. 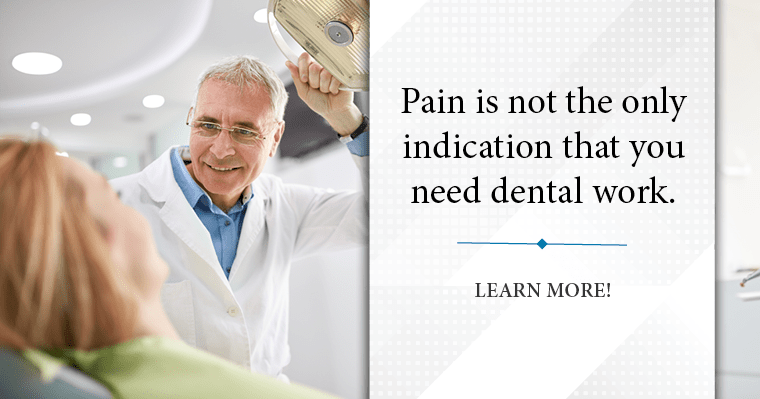 Your dentist will be able to find the cause and provide the right treatment. Myth #4: Highly acidic foods can erode your gums. While it is true that acid can do a real number on your tooth enamel, it doesn’t have the same effect on your gum tissue. Gum recession is from periodontal disease, caused by bacteria under the gum line that has not been adequately removed. If your gums are red, swollen, or pulling away from your teeth, it’s imperative that you see your dentist as soon as possible for an examination and a professional cleaning. Myth #5: If your teeth look and feel good, there’s no need to see a dentist. If it ain’t broke, don’t fix it, right? Wrong! When it comes to your teeth, by the time you can see or feel that something is wrong, the problem has usually progressed too far for simple treatment. Your dentist and dental hygienists are trained to spot potential problems in the making and can help you head them off before they become full-blown dental emergencies. Seeing your dentist every six months for a check-up is the best way to ensure your teeth remain healthy and problem-free. There are some of the facts you need to maintain good oral health. If you have any other questions be sure to ask your dental team about them; that way you’ll know you’re getting the reliable information you need to make sound dental health decisions. Cindy Slimak is a content manager and has been with Roadside Dental Marketing for over 10 years. Having worked in just about every department over the years from SEO to local optimization, she has a well-rounded view of what it takes to make a website come alive and really go to work for our clients. As a content writer, helping our clients by being their “voice” and communicating their uniqueness has been a rewarding challenge for her. Nothing is more satisfying than hearing a client say they love what she’s written for them. That it’s exactly what they wanted to say and didn’t know how. Outside of the office, Cindy and her husband (who is retired) spend a lot of time in volunteer work in the community. They love to hike in the beautiful mountains of the Pacific Northwest, recreate old Slovak recipes her husband remembers from his childhood, binge-watch Netflix, go on weekend adventures, and work in their garden.